Matthew Lourey State Trail update. Help Needed! 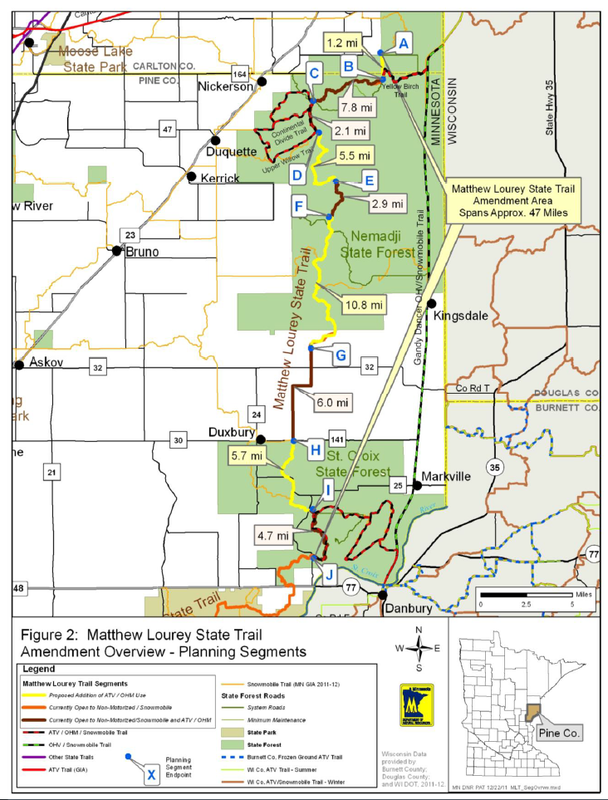 The DNR issued a news release today with an update on the pending Matthew Lourey OHM state trail. I have posted about this before and Minnesota Adventure Riders has written to the DNR commenting on how valuable this trail would be. In today’s news release the DNR states that they are moving forward with this trail and would like to get more feedback from the public on its use (Thrusday, March 8th in Rutledge). I encourage everyone to attend this meeting if you can. The state and local officials, as well as local members of the community need to know that riders like us bring economic benefit to their areas when they create great trails like this. If you cannot attend the meeting the press release gives the email addresses of two DNR employees to give your feedback to in written form. PLEASE ATTEND THE MEETING OR EMAIL THESE DNR EMPLOYEES! This is how the DNR knows we exist and what our needs are. Most of them do not even know what an “Adventure Bike” is. So help them understand how much we appreciate their work, the access to trails, and ask how you can help. Specifically, you can tell them you would ALSO like to see a OHM trail connection between Chengwatana trail system and the Nemadji trail system. This would help cross country state travel IMMENSELY. Today the TMAT travels through this part of the state on the Gandy Dancer trail and we are very thankful for that. However, the Matthew Lourey trail (47 miles) would be a more interesting trail for most riders as it is in a denser part of the forest and contains a much wider variety of terrain. As soon as the Matthew Lourey trail is opened officially the TMAT GPS files will be updated to use it instead of the Gander Dancy. More information on the trail including a map can be found here. Word has it that during this calendar year a few other state trails may be opened up to OHM use which I am very excited about. Stay tuned for more info! 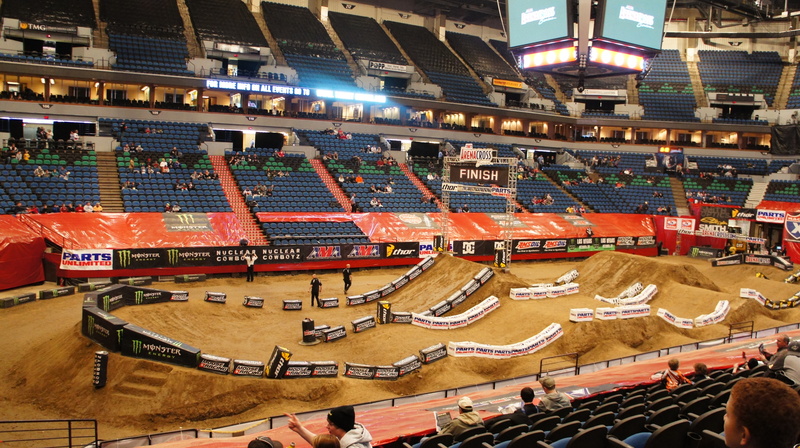 Yesterday the AMA Arena Cross series had its finale here in Minneapolis. 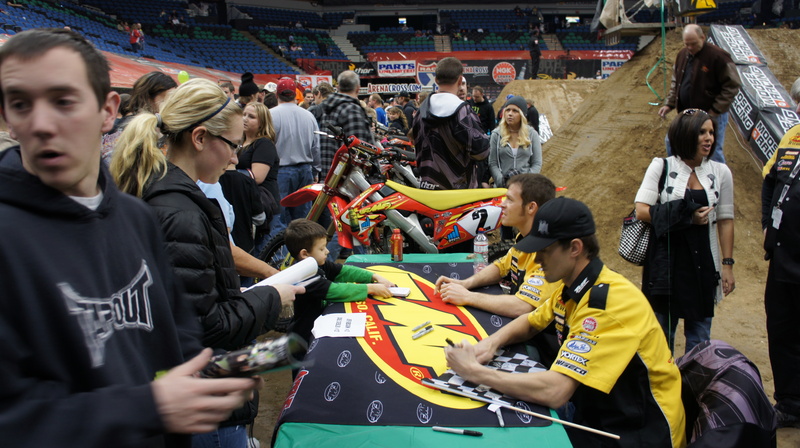 I attended with my family and found it was a great way to break the cabin fever with some moto-entertainment. 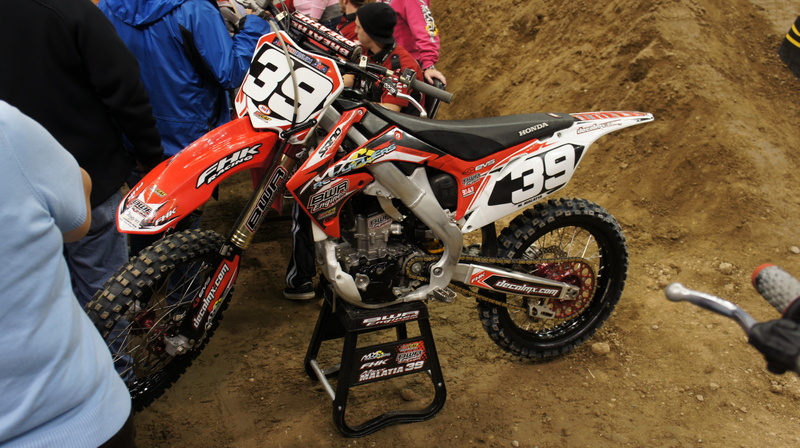 The track was very small, but that just made the action that much faster. Here is a short video and a few pics in case you missed it. Congrats to the promoters for filling most the seats and putting on a good show. 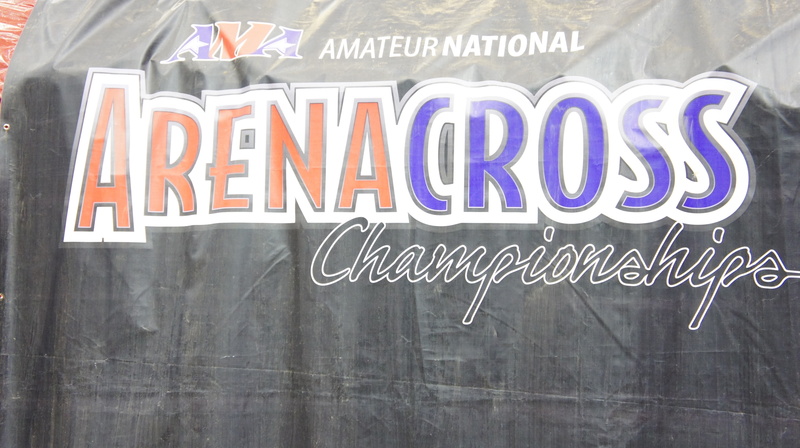 It is important to note that you don’t get a title for your bike with this process. Just a plate and special plate sticker. Some of you have written in saying how easy the process was. This is very good to hear! 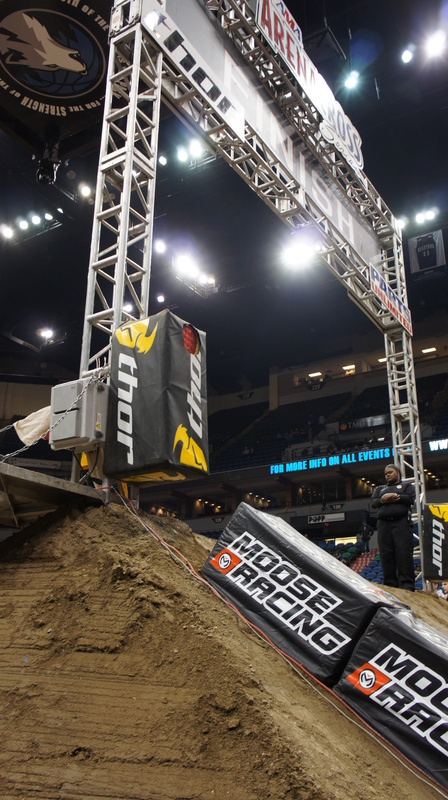 Hopefully this means more riders enjoying the trails in Minnesota this year. Or if it is easier to just describe your route in an email you can send it to the DNR here. We are lucky to have a state government organization that solicits our feedback. Please take advantage of this! 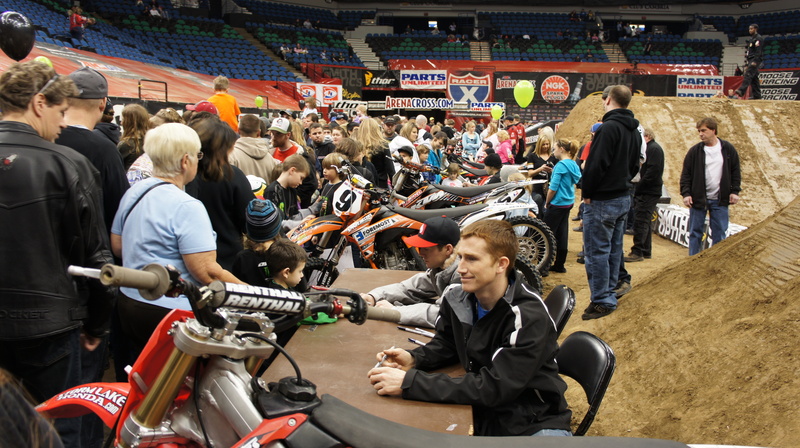 You are currently browsing the Minnesota Adventure Riders blog archives for February, 2012.